Did you know University of California at San Diego's research programs boast over 1 billion dollars in active research funding? 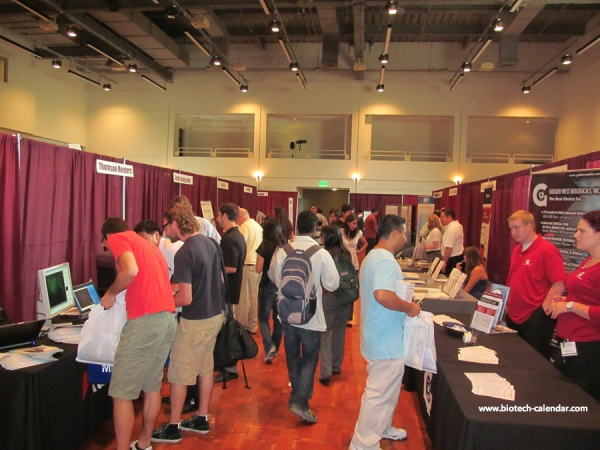 Last year's UCSD event saw 723 research professionals participate to view the latest technologies and time saving lab tools. The audience included: 224 purchasing agents, professors, post docs, and 77 lab managers. The balance of attendees were active post graduate researchers in Life Science fields from 69 different buildings and 76 research departments around the campus. Lab suppliers with new products that can help with research programs are invited to participate in this event, and to demonstrate their products to life science researchers on campus. For the next two weeks these same lab suppliers are invited to participate in the early registration pricing option. Please let us know by May 22nd if you would like participate in the San Diego Biotechnology Vendor Showcase™ event.